Genevieve Snow’s house cleaners got blackout drunk on the job and trashed her apartment. WHO doesn't enjoy a little early arvo tipple to get through a long work day? 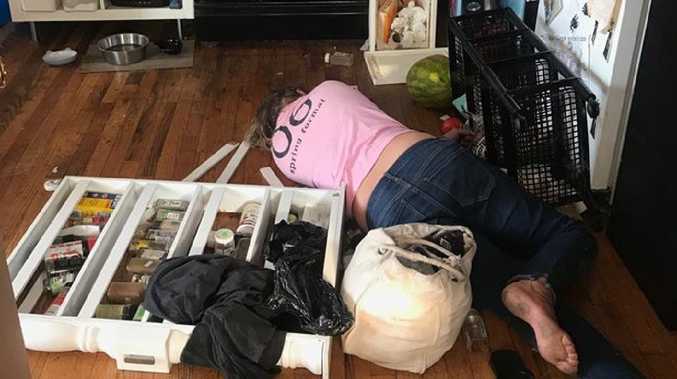 For a few house cleaners in Brooklyn in the United States, drinking on the job got out of hand when they wound up getting so lit they trashed their client's apartment and blacked out. Art model Genevieve Snow thought she'd treat herself to a special offer from Joanna's Cleaning Service, booking a tidy up for August 27. Two women arrived at 8am to get stuck in and Ms Snow left them to do their thing, but when her horrified roommate returned several hours later, it turned out "they didn't clean a thing". "(They) just drank all my liquor and f***ed up my home," Ms Snow wrote in a post on Facebook that has since gone viral. 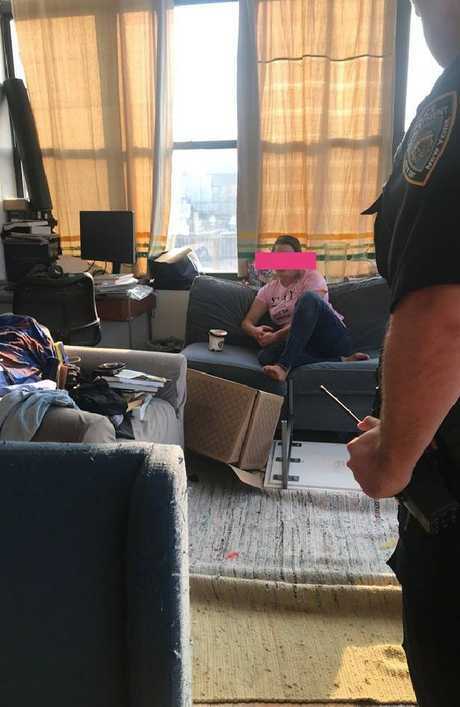 Genevieve Snow hired a few house cleaners for her Brooklyn apartment … but this is what the end result was — a blacked out woman in a trashed home. Genevieve Snow called the police but the passed out cleaner was so intoxicated that an ambulance had to take her to hospital. 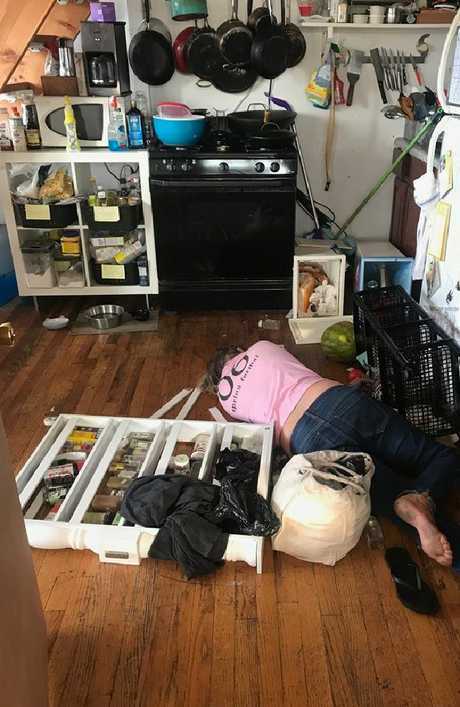 "My roommate came home to one of them blacked out face down in our kitchen and the other long gone." Ms Snow said her stash of alcohol had been almost entirely consumed and the women had also helped themselves to a tub of chocolate ice cream. 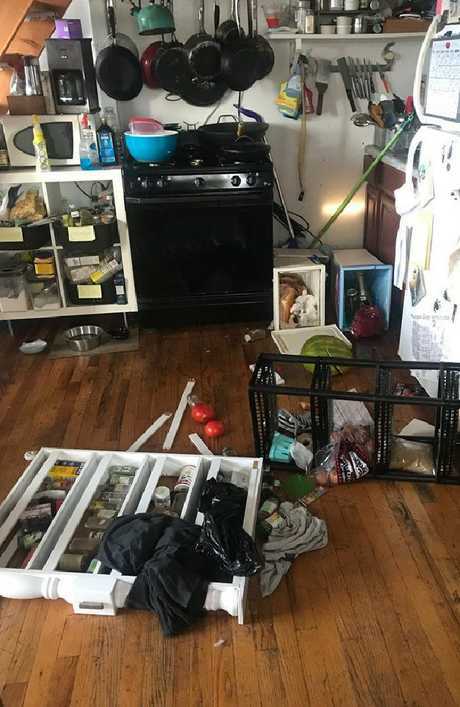 "My spice rack was smashed, my marble coffee table up-ended, which smashed a stone bowl, (and my) keys were gone," she said. 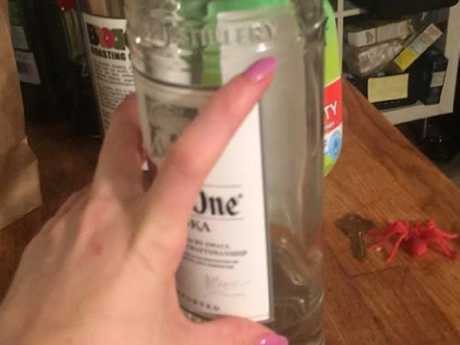 In all, the women drank almost one litre of Ketel One vodka and 750ml of Broker's gin, Ms Snow said. The two women got busy on Genevieve Snow’s booze stash. 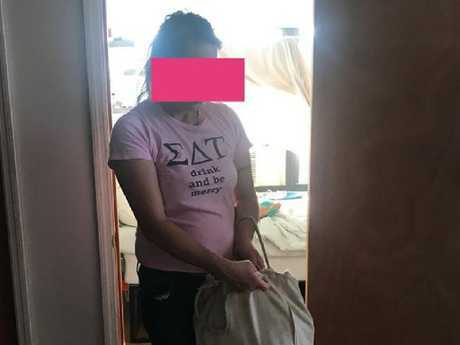 The drunken house cleaner took the print on her shirt a little too literally. 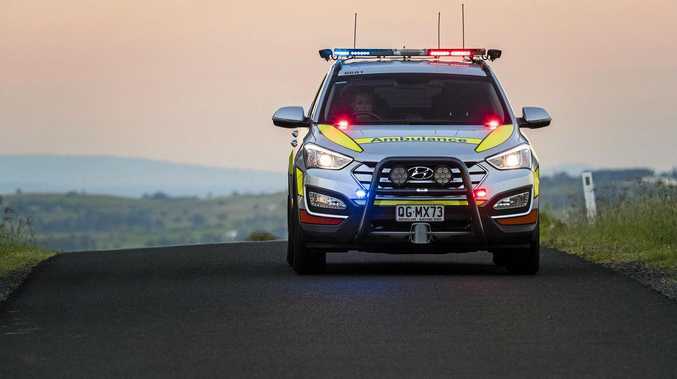 The police were called and the remaining woman was roused from her kitchen floor slumber, but was so intoxicated that an ambulance had to be called. Ironically, when they got the drunken cleaner upright, they saw she was wearing a shirt with "Eat, drink and be merry" printed on it. 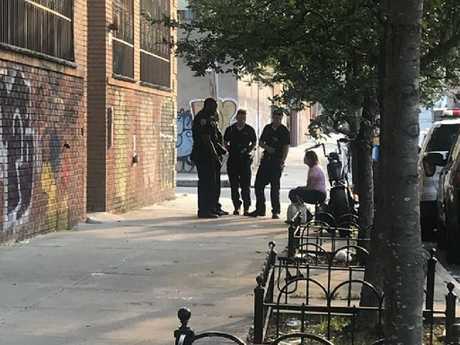 "Pink shirt was too drunk to talk or even put on her sandals," Ms Snow said. The cleaners had arrived in the morning and were due to be there for four hours, but it was just after 5pm when Ms Snow's roommate got home, meaning they must've been partying for some time. 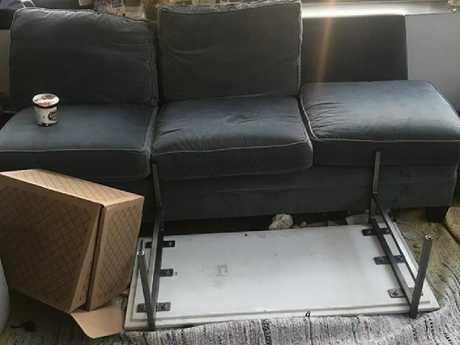 Genevieve Snow's home was trashed but the employer of the two drunk cleaners is refusing to refund her or pay the damages. She said she had to hire an emergency locksmith and spent hours cleaning up her trashed home. Ms Snow contacted the drunk cleaners' employer, Joanna Oltuszewska, who promised to fix the situation. But when she was sent pictures and an itemised bill for $US427 ($A600), she changed her tune. "Don't you think this cost is not to (sic) high?" Ms Oltuszewska replied. She said the unconscious cleaner was having family difficulties and "couldn't stop her emotions", which is why she started drinking. "I will buy for you what (the cleaner) drink and ate, fix the cleaning, plus two times cleaning for free for apologise," she wrote. Apparently the women was having some family difficulties and drank because she was emotional. Adding insult to injury, Ms Oltuszewska also refused to refund the $US400 ($A575) Ms Snow had paid for the cleaning job. Strangely, she asked if Ms Snow had asked the unconscious woman's permission before taking her picture. As well as booze, the cleaners helped themselves to some of Genevieve Snow’s chocolate ice cream. 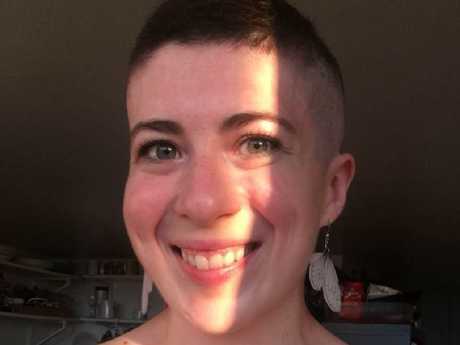 Ms Snow declined the offer of a free cleaning service and insisted on payment for the damage and costs incurred, but said she didn't hear back from Ms Oltuszewska again. She is now considered taking legal action but says the address for the business doesn't exist. Ms Oltuszewska has been approached for comment. Genevieve Snow was not satisfied with the ‘cleaning’ services provided.